Myphotographers gives one of the Best wedding photographers in Tirupati. Tirupati is a city in Chittoor district of Indian state of Andhra Pradesh. To view in Tirupati is one of the holiest Hindu pilgrimage places mostely the people to visit Tirumala Venkateswara Temple. The people to come from different places to see Tirumala Venkateswara Temple. Tirupati is a "Spiritual Capital of Andhra Pradesh" is one of the hundred Indian cities to be developed as a smart city under Smart Cities Mission by Government of India. Wedding is a one-time event to celebrate. Myphotographers service provider in wedding photography in Tirupati to shoot your function very happily. Myphotographers have different vendors with an assistant to shoot your wedding with different equipment, like Photo Camera, Video Camera, LED Wall Screen, Album and many, and assist with clothing adjustments or holding of reflectors. Myphotographers gives Famous wedding Videographer in Tirupati with lowest prices. 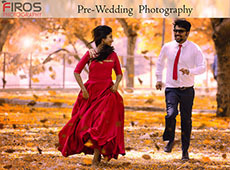 Myphotographers provide different candidates like Traditional Photographer, Candid Photographer in Tirupati, Videographer, Baby Kids Photographer, special events Photographer, Faction Photographer. People will come from different places to do diversion for Lord Venkateswara, Sri Govindarajaswami Temple, Sri Padmavathi Ammavari Temple, ISKCON, Sri Venkateswara National Park, Talakona Waterfall, Deer Park and Many More. There are many Photographer and videographers in Tirumala. If the requirement is a daylong for the Wedding by Photographer, Myphotographers give option for booking Local Wedding Photographers in Tirupati in online for the entire Wedding day. The Photographer and Videographer tells the stories of countless couples, whose fairy tales are etched in vibrant colors, and beautiful lighting. Booking Tirupati Photographer at Myphotographer.in offers the best of the services and takes away your concerns of traffic Candid Wedding, Pre-Wedding shoot... etc. Myphotographers gives a team of young and dynamic photographers, who wants to create something unique and timeless to keep your nuptial memories alive.